We sell the full Kia Rio range including the Rio 1, 2, GT-line, 3 and GT-line S. Get in touch to book a test drive. Our showrooms in Essex and Hertfordshire are open until 6:00pm today. Ken Brown Motor Group is pleased to announce the arrival of the new Kia Rio. This new generation of the popular supermini has been revamped to compete with the latest designs from high-end brands in its class. As makers of affordable and reliable models, Kia have enhanced the interior technologies, engine performance and exterior design. At Ken Brown, we specialise in the Kia brand and are passionate about motoring with over 35 years’ experience. We have a professional team of experts that can tell you all you need to know about your new Kia Rio. Image shown for illustration purposes only. 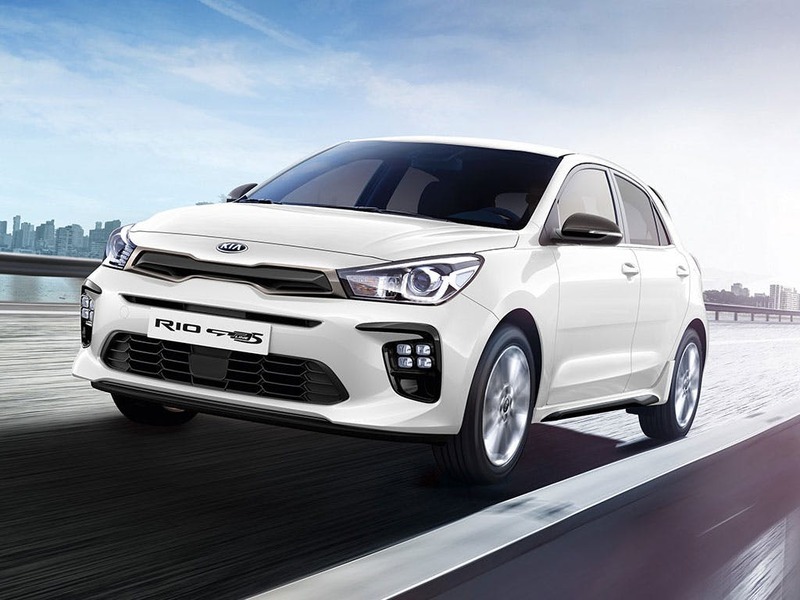 The new Kia Rio has a smart and chic exterior, with its signature ‘tiger-nose’ grille and LED running lights to give it an edge. It is perfect for families with its five-door availability and as a sporty, compact supermini it is suitable for city drivers looking for a convenient model that is easy to manoeuvre. Different trims include 1, 2 and 3 models, plus a more advanced First Edition. Drivers of trims 2 and above can enjoy alloy wheels which increase in size, with 17-inch alloys on the First Edition. The new Kia Rio comes in an exciting range of body colours. Choose from Midnight Black, Blaze Red and Sienna Brown available across all the trims, or choose from Satin Silver and Graphite in 2 and 3. 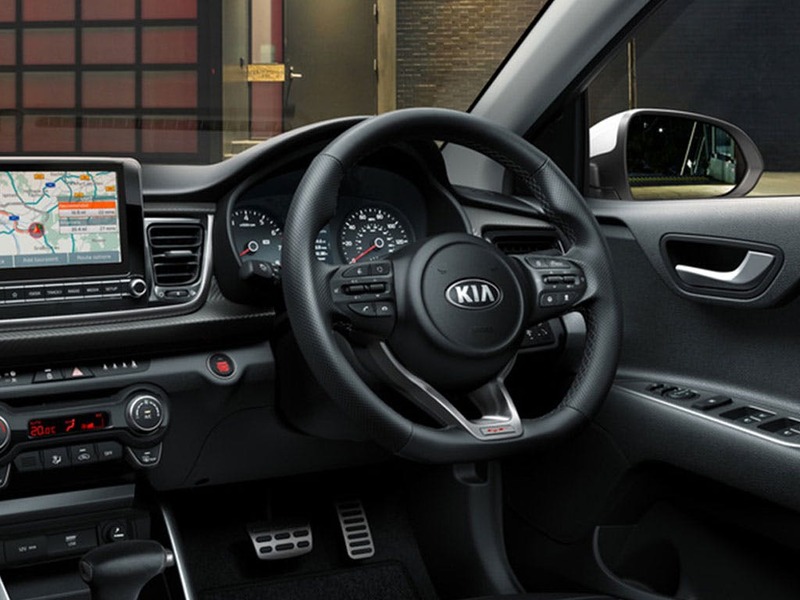 The Kia Rio has plush, modern interiors with features such as heated leather seats on the higher trims. 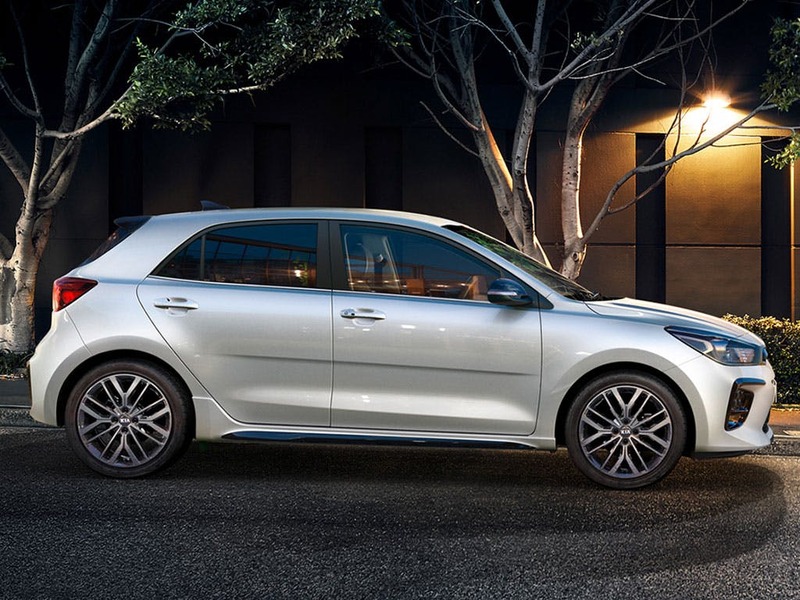 Despite its compact exterior, the Kia Rio is spacious inside with ample leg room, comfortable head space and a generous boot size for all your driving needs. Data is displayed on a modern dashboard system – making the Rio fun to drive. The new Kia Rio now offers a 1.0-litre turbo-charged three-cylinder petrol engine. Choose five-speed manual transmission for 99bhp, or six-speed manual transmission for 118bhp. Developments to the diesel engines also make the Kia Rio one of the most efficient cars in its class. The 1.4-litre CRDi comes in a six-speed manual transmission offering 76bhp or 89bhp, with low CO2 emissions of only 110g/km. There are also revised versions of the 1.25-litre and 1.4-litre petrol engines available in the new Rio, offering more power and efficiency than the previous generations. 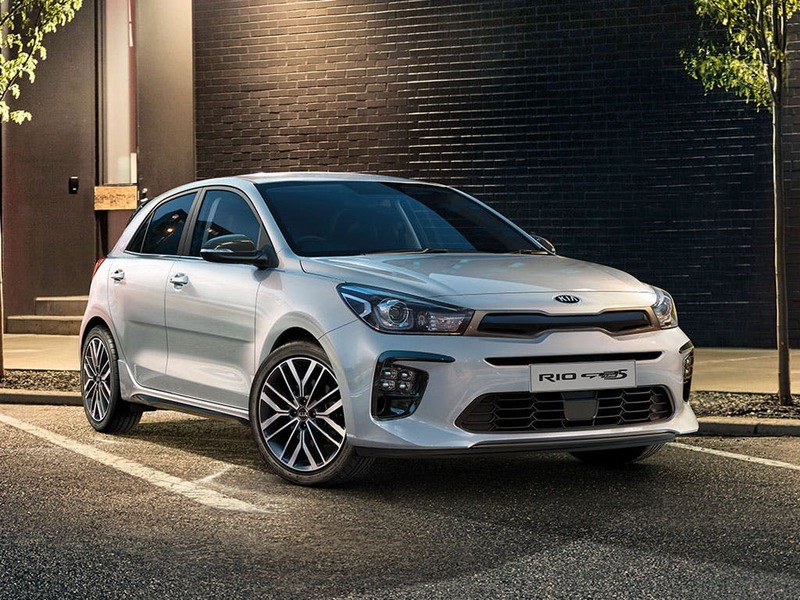 The new Kia Rio is one of the safest models in its class as it was one of the first models to be fitted with new Autonomous Emergency Braking, which incorporates Pedestrian Protection to ensure the safety of all. Through a radar and camera tracking what your vehicle encounters on the road, the clever AEB system detects sudden braking up ahead. 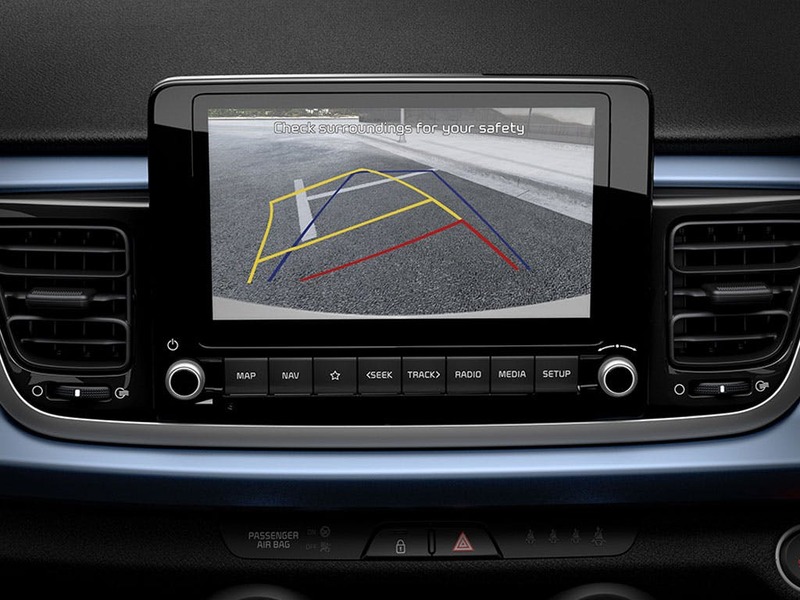 This brings your Kia Rio to a complete stop when travelling up to 50mph. Two other new features available across the range are Cornering Brake Control (CBC) and Straight Line Stability (SBS), allowing a smooth, safe and enjoyable drive. There are other great driving features in the new Rio which enhance road safety, like Hill-start Assist, Cruise Control and Speed Limiter, and the Lane Departure Warning System. 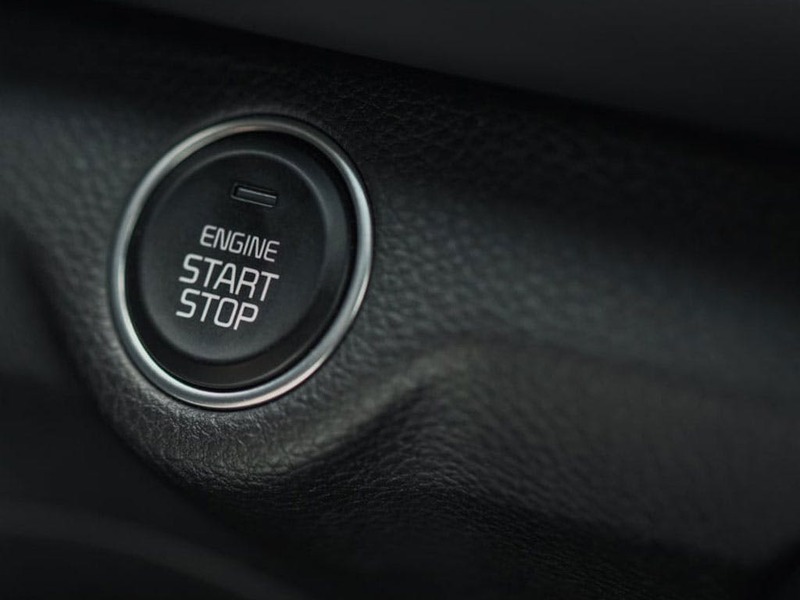 Modern features can be enjoyed across all the Kia Rio trim levels such as air conditioning, electrically adjustable and heated door mirrors, Bluetooth, USB and Aux ports. To benefit from all of the latest technology and design features, a Kia Rio 3 or First Edition is the perfect car for you. Images shown for illustration purposes only. The Kia Rio scored 3 for overall safety with EuroNCAP.